Blog Using drones in documentary film making: DLP Interview with Keva Creative. 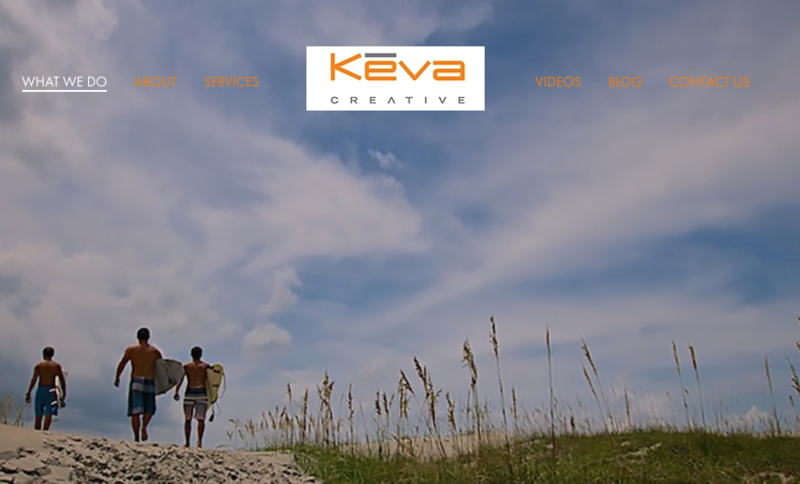 KEVA Creative is a company that is specializing in documentary film making and adding drones to their service offerings. Getting those drone shots to add to the other footage that they are capturing and offering a really good high-quality output to their customers. “We don’t just reach people, we move them through compelling and inspiring visual stories as a video production and documentary film company. KEVA Creative believes powerful visuals evoke emotion that drive deeper and more profound engagement.” You can see here yet another example of a drone service company that is really adding drones to what is a broader more compelling business model. In this case, the business model is video production and documentary film making and KEVA Creative is doing that at a very high level. I started about twelve years ago with professional photography. I am Part 107 certified. I am really proud to be part of this small minority of women who really do see the opportunities that we have. We are on the ground floor right now and there is so much room here, especially for other women. If you do not bring something to the table more than a drone, your chance of success is really low. You’ve got expertise in photography and of course that is what drones do. They capture great photographs and video and I think that obviously is just one of many tools you bring to the table in order to do the work, in order to come up with the finish product. Passion is the thing that actually fuels this business. Our dream, where we want to go. Our goals and everything is built around our passion. Terry is an outstanding, gifted writer, he is also a photographer and that is how we both kind of got involved with all this drone stuff because through our photography. However, if you don’t have this burning passion and desire, it is going to feel like you are working a job. We wake up in the morning and we couldn’t be happier and more fulfilled in our lives, because we are working in an area that fulfills our needs to express ourselves artistically and we do that. This is definitely an area that we have passion in. That drives us that keeps us going. It is much easier to predict based on the founder’s passion for their idea as to whether or not they are going to be successful. Some of the biggest flyer ideas that ever came through our office that have ended up being companies worth millions of tens of millions of dollars, they got there based on the strength of the passion of the person who is executing the business model. It got me back involved with the film work in the digital world and that just opened my eyes to a whole new vision of what was possible from a creative standpoint. It really helped evolve my storytelling skills. She never went anywhere without a camera. It was just part of everything that we did and once she put a drone up and she saw a different perspective, camera gets left behind now because the drone was with us constantly. That is truly where her passion has taken her. I think first drone photography helps establish a sense of place and I think that translates into just about every single thing that we do. It just really opens the doors to establish a sense of place and the other thing is even though we used it a lot where safely, but it is in as tight as we can safely get it or hand hold which is another whole world for us, especially in the documentary film world. It is all that visual storytelling, it’s those things that we use cinematically that’s been done with maybe dollies or some type of gimble work in the past, well this opens up a whole new world. We are not there as a video production company or even a documentary film maker, our business card states visual storytelling. We incorporate that into every single aspect of everything we do. We spend a great deal of time in creating shot list and studying the scouting area, we look at angles of the sun, best times of the day, where the sun is going to be at any given point in time during the day. We incorporate all that information, as well as all the preflight stuff that goes in to operating the drones safely, ethically and commercially. We are shocked at the number of people that are yet out there. I think part of that is little accountability built into the drone enforcement at this point in time and hopefully that will change. I want them to know there is a process in place and that every time you launch your drone and you put it up in the air, possibly with that I am going to be held accountable in some way, shape or form. I am going to have walk up people coming up to my job site and questioning me on accidents that they have witnessed, or irresponsible behavior by other pilots. It happens to me all the time. We jokingly say we are on duty 24/7. We handle everything between the two of us.We are starting to finally get to the point we can are getting repeat business, recently we’ve had three different projects going at one time. It was really exciting but it is also pretty demanding but then again it goes back to that passion, that passion is behind you and it drives you. It just doesn’t feel like work. We constantly had to look at our market and advertising and demographics of our area and where we ended up doing a lot of work back in Florida from North Carolina and we tried to continue to establish our foothold here, so that we have a foundation, but we are constantly working out of our area, out of the coastal area of North Carolina. The other thing we have done, is expanding to markets where it is well established. One of those is a major film player in the state of North Carolina. I believe MGM has a major studio there. But because of the quality of our work, because of doing projects in those areas and other clients seeing the way we work, developing strong customer service skills and building that portfolio, we are able to get in to the market that should be somebody else’s to get and yet we have gone in and we have been able to get those jobs, and to continue to build those relationships and to get that repeat business which is really building up that strong foundation.